Memories – dik old school | That just happened! I have always really enjoyed this song, it is one of those songs that makes you long for someone you have never met, or someone you lost, miss home when you are laying in your own bed, just feel like something is missing…I’m sure you know the feeling. Well yesterday I was in my car and this came on the radio and I was back in that place, sitting there deep in nomansland. 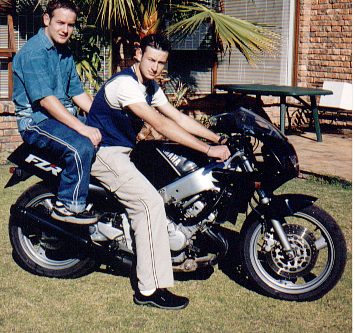 I found this pic on my old PC a couple of weeks ago of OJ and me on my FZR250 that I rode back in school in 11th grade. We had a couple of bikes before this, but this is the only photo that I stumbled across. We have been riding bikes together from before either of us was at a legal riding age. Around a year and a bit ago OJ got a Harley 883 Iron and we started riding together again. 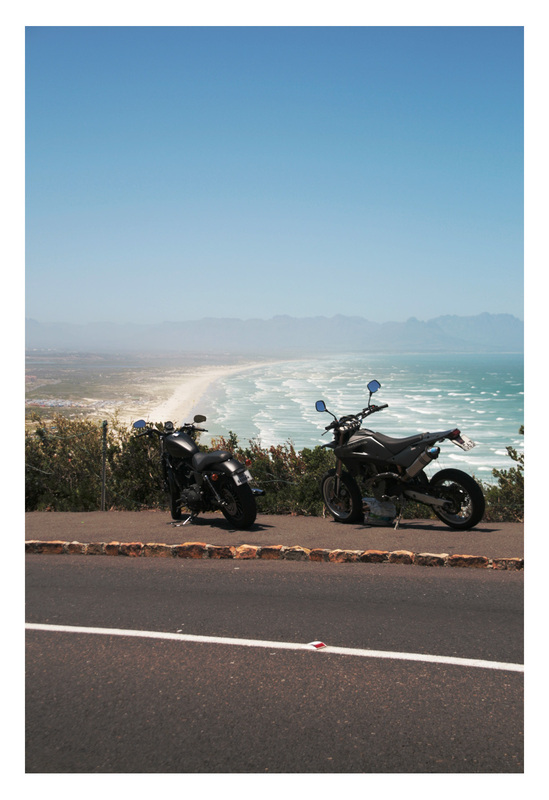 I know a motard and a Harley seem like unlikely riding partners, but we manage to have fun cruising around together.